No doubt you have heard the expression, “It’s what’s on the inside that counts.” As your premier Southern Florida home contractors, we know that this is far from the whole truth. While the inside of your home is clearly important in both conveying a sense of serenity to those inhabiting it, the outside is equally as significant – and so is the structure, the frame that binds the inside and the out. We will gladly take care of sprucing up the framework of the home you have come to know and love, focusing on perfecting the exterior and the structural support to the best of our ability. The inside, however, particularly in regards to interior decoration, happens to be less our area of expertise. This is where you come into play! 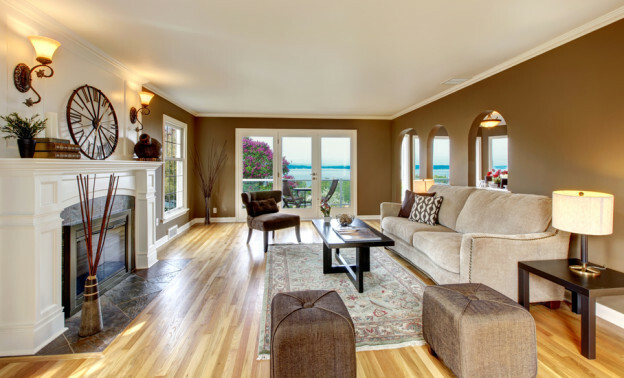 In order to complete the beautiful and comprehensive home you have always dreamt of, here are ten interior decorating tips that apply to every home we build or repair. Hang artwork at an appropriate height. Hanging artwork at eyelevel (between 57 and 60 inches from the floor) opens up the room while making the artwork itself accessible to those who choose to admire it. When hanging artwork in rooms with high ceilings, the tendency is to hang the art closer to the top of the wall. Avoid doing this! If you are unsure as to where your artwork looks the best, try taking a photograph – this helps to put the cohesiveness of the entire room into perspective. Arrange furniture on a rug – the right way. Leaving some furniture hanging sloppily off of the edge of a rug will detract from the neatness and organization of the entire space. Make sure that you stay consistent when organizing furniture on a rug – all off, all on, or fronts on. Let go of some “collectibles”. Don’t be afraid of boldness. Incorporate unexpected and statement-making pieces in a conventional setting in order to truly make an impact. It is possible to maintain a sense of cohesion while adding daring interpretive pieces that make statements while still managing to make sense. One central lighting fixture will not have the same impact as illuminated artwork, several small lamps, and the intentional lighting of one or two focal points within a given room. Candles will also add some soft lighting, and can be used to illuminate photographs placed on singular shelves… just an idea! There are numerous ways to liven up your space while remaining tasteful and avoiding clutter. Have fun decorating the inside of your home – and leave the rest to us!